There eyesight is said to be as good above the water as it is under water. 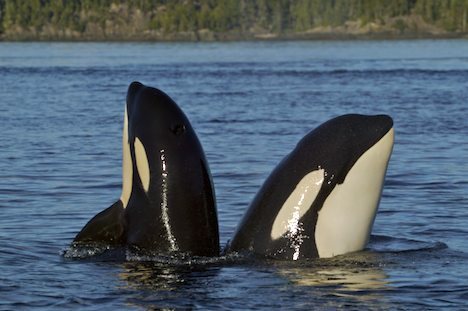 Orca Whales will sometimes engage in a spate of spyhopping activities for play or just to check out the surroundings. Orca Whale (aka Killer Whale) off Northern Vancouver Island, British Columbia, Canada.